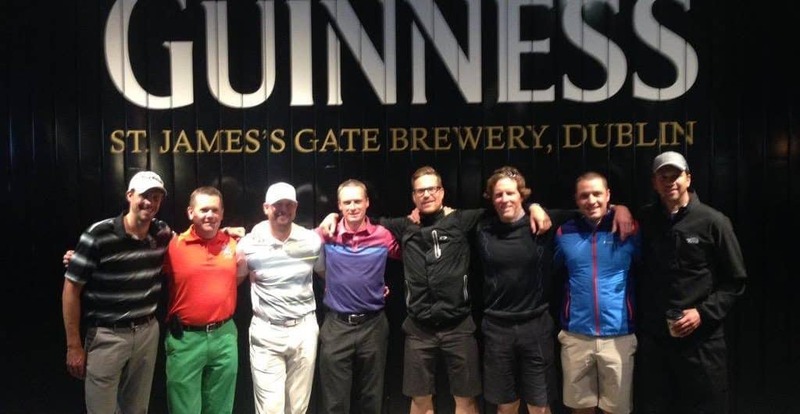 Transport is an often over-looked aspect of a golfing trip to Ireland, yet it is just as important as the golf courses and accommodation. Especially with the scenic, country roads in Ireland, the last thing you want is to be late for your tee time because of a problem with your vehicle. There are two transport options which every group can decide between. You can choose either a self-drive vehicle or go with a chauffeur driven vehicle. Both have their pros and cons and often come down to personal preference and the size of the group. We often recommend the self-drive option to groups ranging from 2-4 golfers. This allows the drivers to take turns driving since one vehicle will usually suffice for the group. 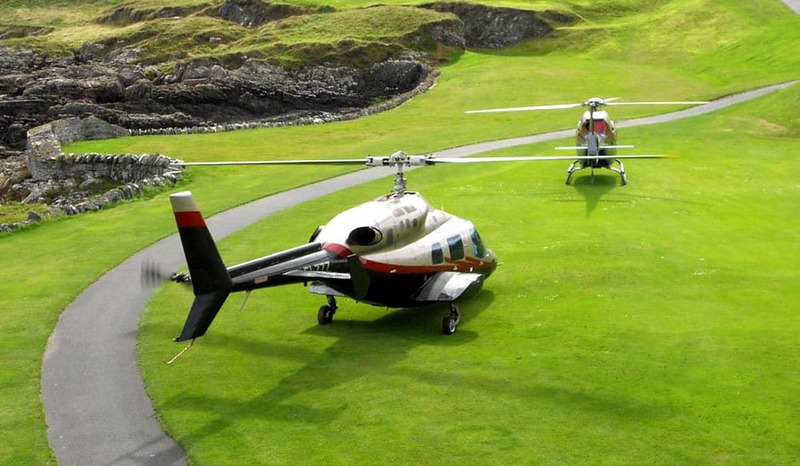 For groups upwards on 6 golfers, we recommend the chauffeur driven vehicle option. Not only is it more cost effective with a larger group, it allows you to relax a lot more instead of worrying about getting lost. The chauffeur option adds much more comfort than a self drive and lets you relax with a few more drinks after your round of golf. Finally there is the helicopter option. This option diminishes larger commute distances to courses, which can offer a whole number of opportunities when planning your itinerary. It is quite an extravagant option but it can be the answer to some logistical issues in your itinerary. 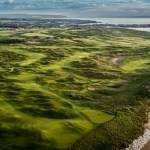 It can cover great distances which allows for a wider catchment area of golf courses. Upwards on 12 golfers, we recommend a full-size coach. This is to allow for luggage, personal space as well golf bags. 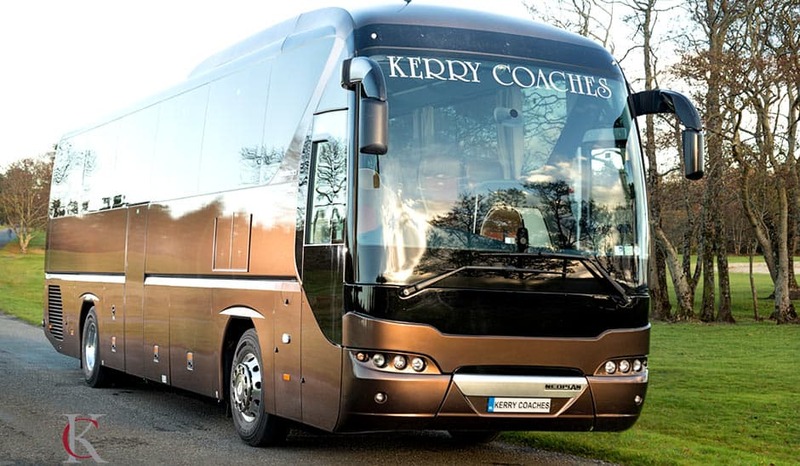 The last thing you want on your trip to Ireland is to be squeezed onto coach and have no comfort. With a larger group, ranging from 6-12 golfers, we use a Taurus vehicle. 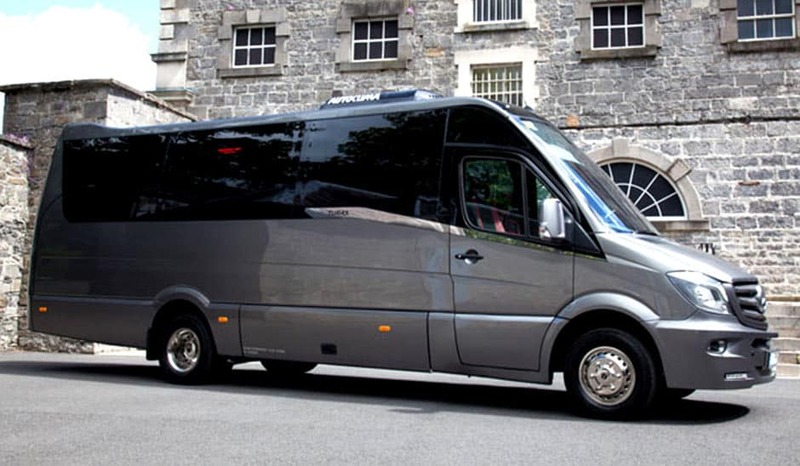 Not only does the chauffeur option make more sense financially for a larger group, our vehicles include tables for the journeys along with fridges to store beverages. Often it is more cost effective for groups of 4 golfers to go with the self drive option, but the chauffeur option is still available. 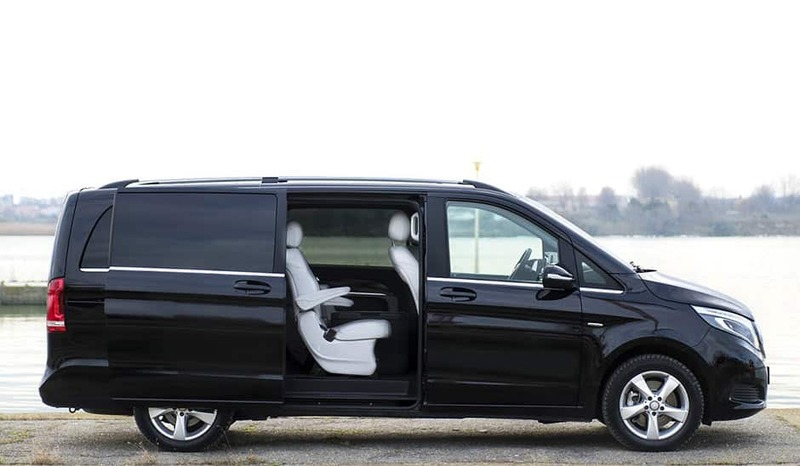 For this option, we often go with a Mercedes V-Class which is an incredibly spacious and luxurious vehicle for this group size. 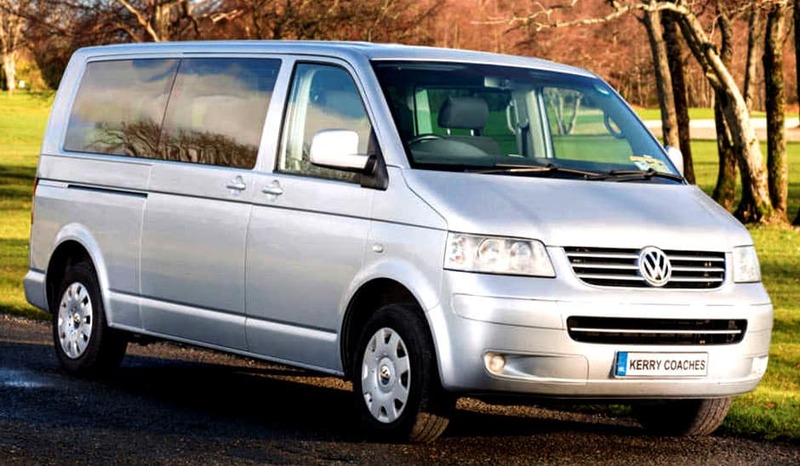 For groups over 2 golfers, a Volkswagen Caravelle is our preferred vehicle of choice. It has more than enough space for luggage and clubs. 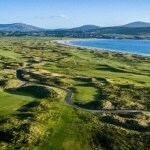 It can accommodate 6 golfers with very light luggage if you are adamant on keeping with a self-drive option. 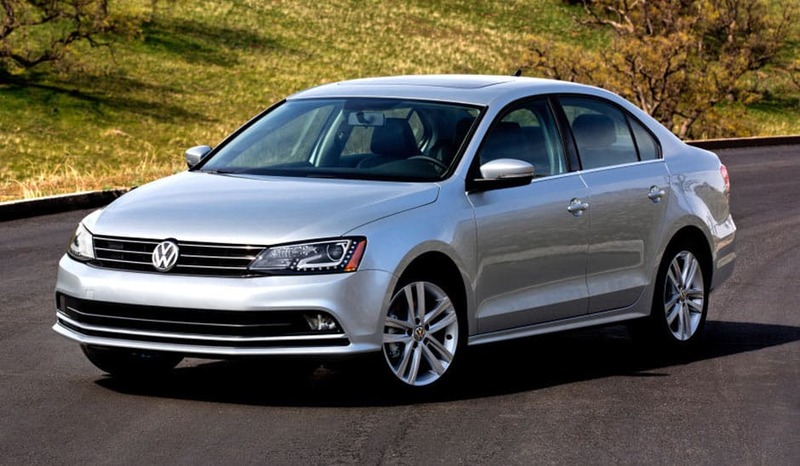 Our preferred vehicle for a self-drive trip for 2 golfers is the Volkswagen Jetta. It has more than enough luggage space for suitcases and clubs. It is a rather small vehicle as well which is ideal for taking those narrow country roads to get to your next tee time. 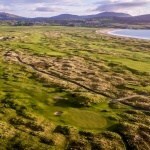 sales@northandwestcoastlinks.com for more information on how we can help.